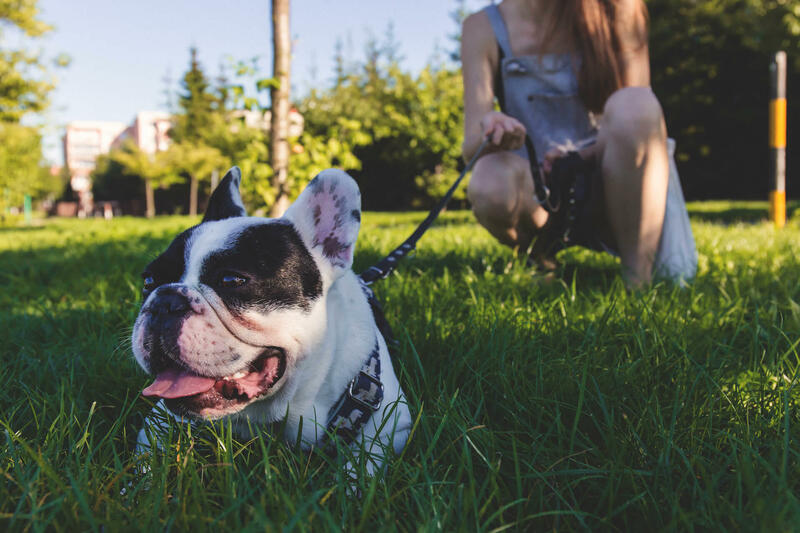 Although from the outside it may seem like owners of dog walking businesses have it easy, they are no strangers to stress. Indeed, they all share a love for dogs and a passion for caregiving, but without trustworthy and reliable employees and the capacity to keep services running consistently on a regular basis, it’s almost impossible to run a successful dog walking business. If you’re looking for tips on how to eliminate the stress as the owner of a business while working towards attracting more clients and an end goal of growth, this blog post is for you. Here are our top tips on how to run a successful dog walking business that won’t have you on a leash. Many dog walking businesses offer additional services such as grooming and overnight stays, while others simply walk dogs. When you first meet a client, ensure you discuss up front the services you are offering and whether there is any leeway, like picking up the dog from daycare, for example. Providing you have the capacity to offer additional services, such as having enough staff and an adequate insurance policy and contracts drawn up, it’s always worth diversifying your business offerings and being as flexible as possible. If clients know you are more flexible than another dog walking business in the neighborhood, there’s no competition. Even if you’ve already started up your dog walking business, it’s never too late to set some goals. Keep track of your income and expenses and see if you’re on track to make a profit. Do some research on other dog walking businesses in the area and see what they are charging. It may be that you are overcharging clients but not offering them enough services, causing them to look elsewhere, or perhaps you’re undercharging clients, leading them to wonder how high-quality and professional your business is. When your business is starting out, it’s important not to be too over ambitious. If your dog walking business walks multiple dogs at the same time, ensure you gradually introduce newcomers to the group, for example by taking them out by themselves first and then in groups of two, or three. Many dogs are reactive and while they may be on their best behavior on a solo walk, it might be a different story once they have some playful buddies to walk alongside. If you’re receiving lots of business in your first week, this is obviously great, but don’t be afraid to say no if your schedule is looking a little full. Clients who hire you to look after their furry best friends are putting a lot of trust in you, and it’s likely they are going to have some questions. To avoid looking like you don’t know what you’re talking about, ensure you do adequate research on dogs and their behavior regularly. A good place to start is reading up on popular breeds and behavior tendencies, such as reactiveness and separation anxiety. If you want to be really clued up, look for dog training programs and seminars in your area and improve your handling skills, as well as general dog knowledge. If you’re just starting out and you need some advice, networking with other dog walkers in your area can be really helpful. It’s unlikely that they will be giving their clients away in a hurry, but they may have some helpful advice about the best ways to meet new clients or certain areas requiring dog walkers. Be sure to bring some business cards along which should include your contact info, website address and social media pages. If you happen to pass local vets, dog groomers or pet stores, ask if you can leave a handful of business cards with them as well to get your company name out there. These days, it’s hard to find people who aren’t active on social media, and if you’re looking to attract the attention of new clients, there’s no better place. Generally, the most popular social media platforms for your business are Facebook, Twitter and Instagram, so make sure you’re active on all three. If your dog walking services are focused in a particular area, you can hashtag your location, for example, #Vancouver or #Toronto so that people searching for that hashtag can find you. With over 1.94 billion monthly active users, Facebook is also a great platform to be on, giving you the opportunity to set up your business page, join local dog walking groups, or even set up your own group. Give your clients the choice to book dog walking slots with you online or by phone. Let them schedule appointments 24 hours a day, 7 days a week.